distribution DISTRIBUTION: Statewide; undoubtedly occurs in all 100 counties in NC. abundance ABUNDANCE: Declining. 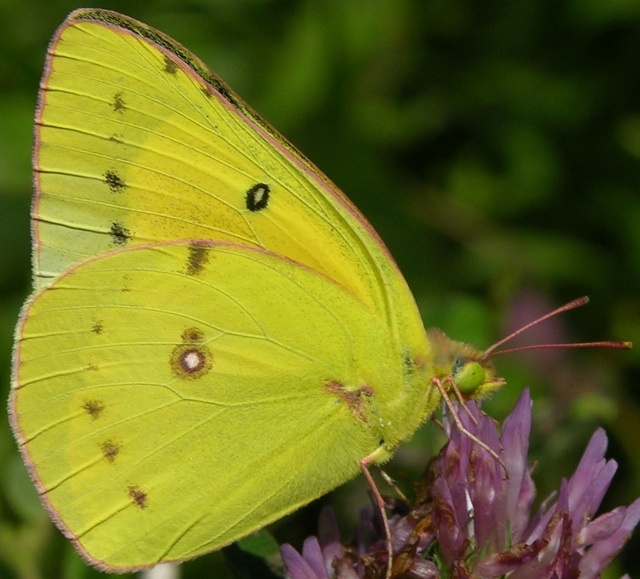 Fairly common to common in the mountains and upper Piedmont; may be abundant in a few areas (such as some mountain meadows). 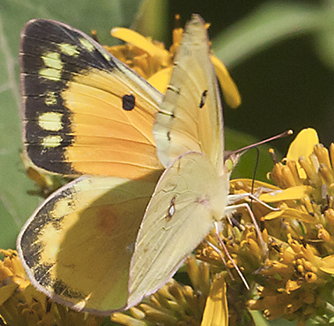 Mostly fairly common (at least locally) in the Piedmont, and uncommon in the Coastal Plain (now). It has greatly declined in NC in the past 15 years and can be uncommon now in some counties in the Piedmont and mountains. flight FLIGHT PERIOD: Several broods, probably four or five; mainly from early March to late November, with scattered records in December, January, and February. The species has no gaps in the flight periods in the three provinces in NC. habitat HABITAT: Open country, usually in cultivated areas. 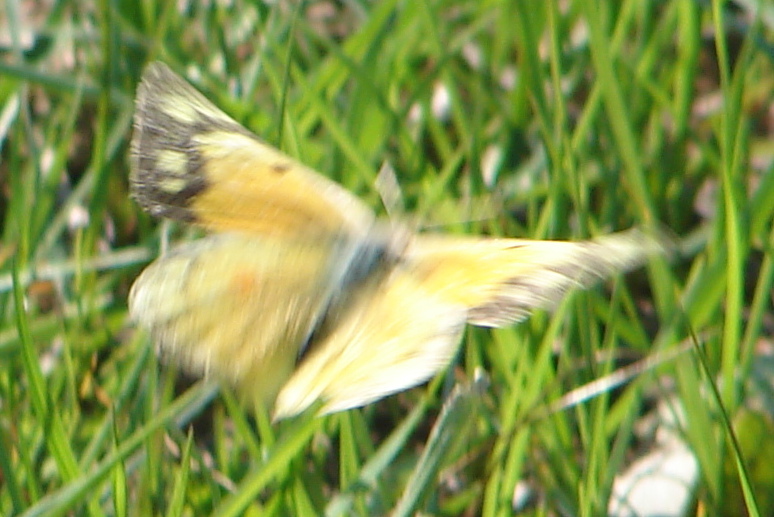 Most common in cultivated fields with alfalfa or other legumes; dozens may also be seen flying over fields and meadows. Also seen along woodland borders, gardens, etc. It is not found in the shade of forests. plants FOOD AND NECTAR PLANTS: Foodplants are legumes such as alfalfa (Medicago sativa) and clovers (Trifolium spp.). 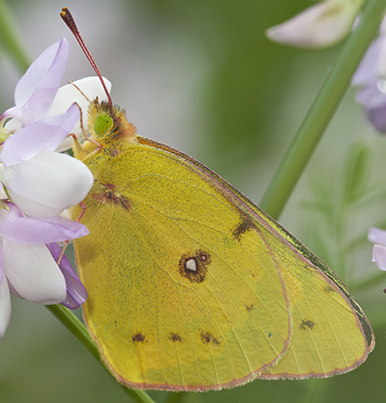 The species nectars on a wide variety of plants, particularly in croplands with flowers -- alfalfa, red clover, white clover, etc. 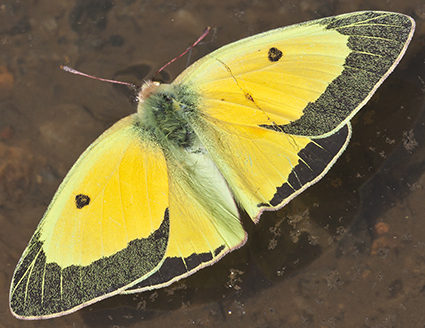 comments COMMENTS: Identification of this species versus Clouded Sulphur is often difficult. 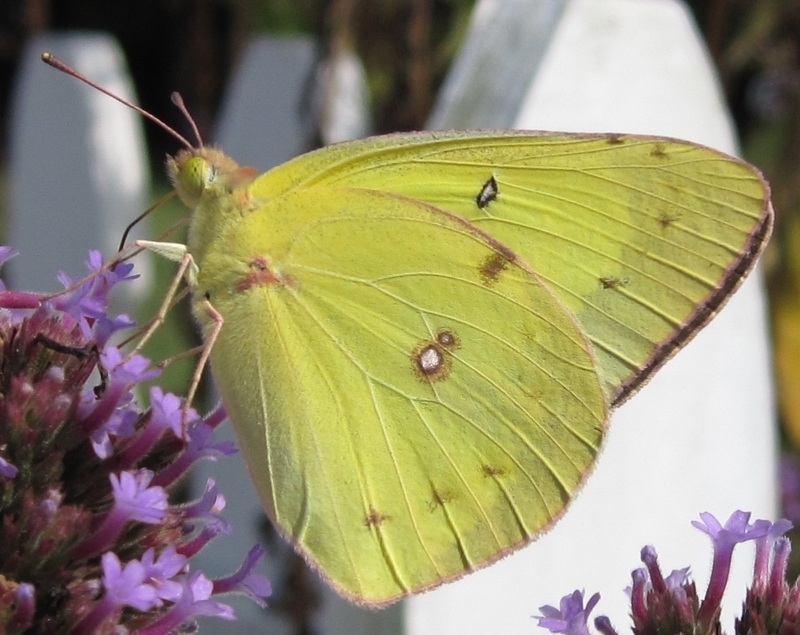 However, this species certainly outnumbers the Clouded over nearly all of the state, especially in the Coastal Plain and most of the Piedmont. The historic range of this species in North America is uncertain, but it spread in range and in numbers with the increase in croplands in the East. 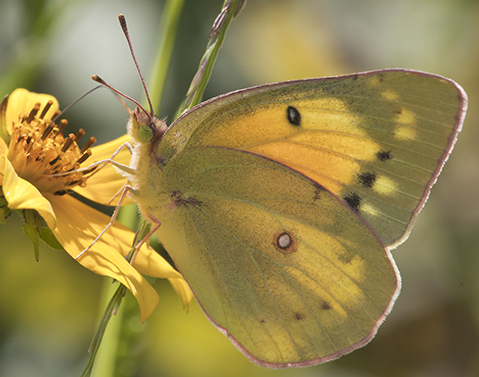 Despite its numbers in NC, it is usually far outnumbered in most of the Coastal Plain, especially from July onward, by the Sleepy Orange and the Cloudless Sulphur. Numbers were severely curtailed over much of the state by cold, wet weather in spring 1999, and populations were slow to recover in 1999-2000. A drought lasting at least four years, and the continued loss of farmland to development, has sent numbers tumbling recently. Some Fourth of July counts are now having difficulty in finding this species, even in areas where formerly numerous 15 years ago.